built in 1905, but was continuously expanded. 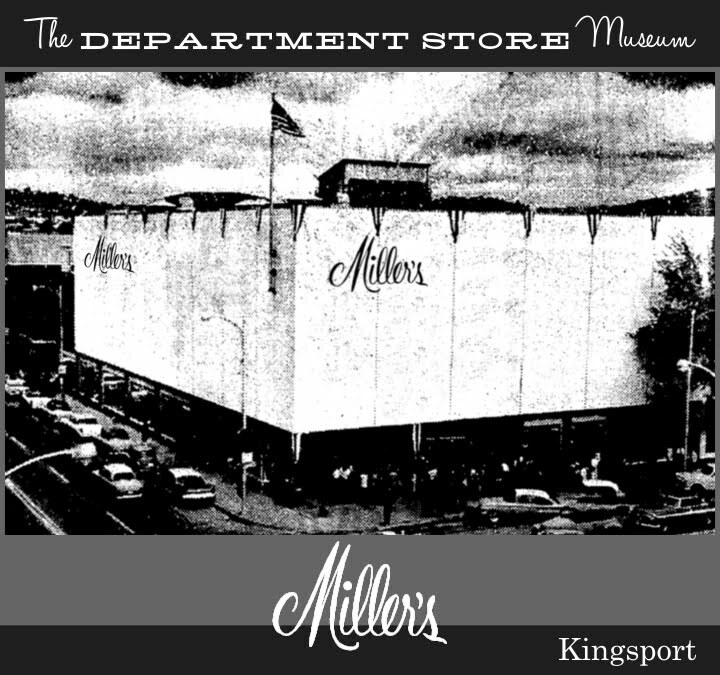 "One of the South's Great Stores"
Department Stores by the name of “Miller” have existed in Chattanooga and Knoxville. 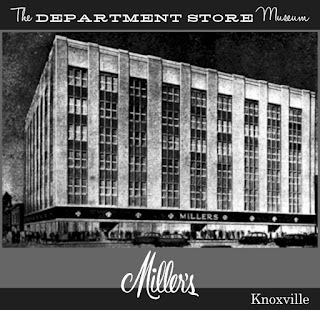 Technically, Chattanooga’s Miller Bros. Co. and Knoxville’s Miller, Inc. were separate companies, and lived separate lives, but they both sprung from the same 1889 "New York Racket Store" founded by Frank M. and Gustave H. (Gus) Miller in Chattanooga. 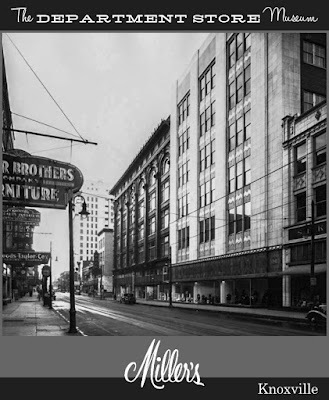 Surprisingly they came together once again as the department store industry began to consolidate and contract as the “golden age” of local, big city retailers started to wane. 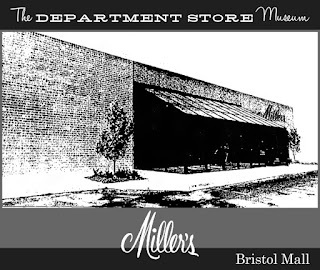 Having changed the name of their Chattanooga operation to Miller Bros. Co., the Millers set their sights to the northeast of their home base, and opened a retail store in Knoxille in 1901. It was located at 317 Gay Street, north of Wall in the growing east Tennessee town. Flush with success, the brothers built a large new flagship at 435 Gay Street, on the corner of Union Street. 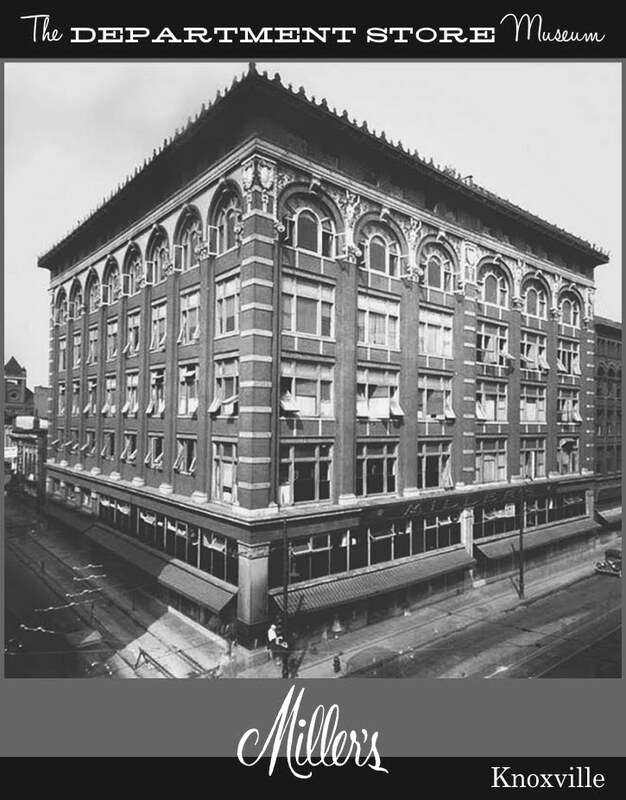 This imposing, 5-story building consisted of three bays on Gay Street, and extended back to the older buildings on the alley that fronted Knoxville’s downtown Market Square. 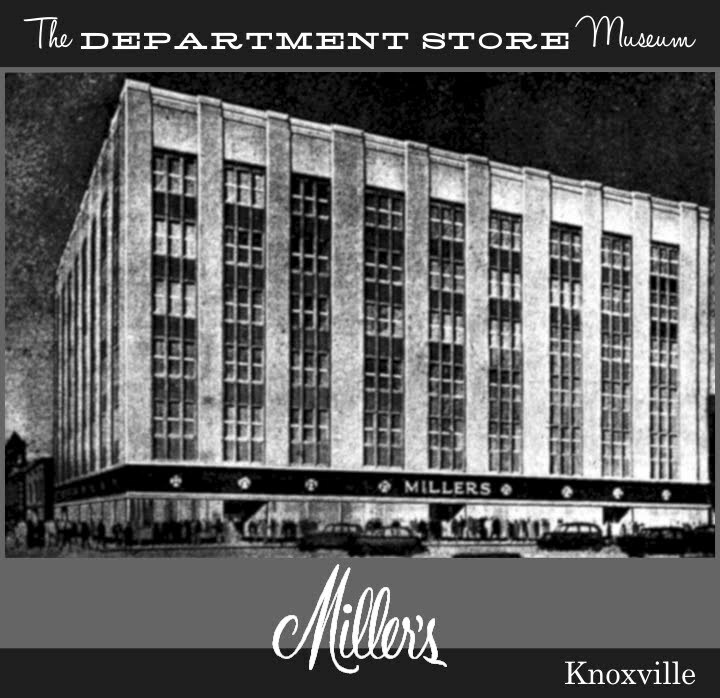 However, by 1907, the Millers were finding the operation of two stores over one-hundred miles apart to be difficult, so they sold the Knoxville operation to Knoxville businessman (and employee of Miller Bros.) J.D. Varnell, and Messrs. James H. Anderson (1871-1949), and Oscar Handly (1875-1942) who became treasurer, president,and secretary, respectively, of the new firm. They were ultimately joined by H.L. Dulin (1866-1941) who divested himself of Miller, Inc. in 1925, and ultimately the Cumberland Trust Company and became a director of Knoxville’s Hamilton National Bank. Anderson, Handly, and Dulin operated small dry goods businesses in their own towns of Hopkinsville, KY; Winchester, TN; and Springfield, TN; but they became familiar during time spent on frequent New York buying trips. On one of these trips, Oscar Handly suggested, since each of them felt they could not further grow their businesses in small-town Tennessee, that they look together at Knoxville as a base of operations. 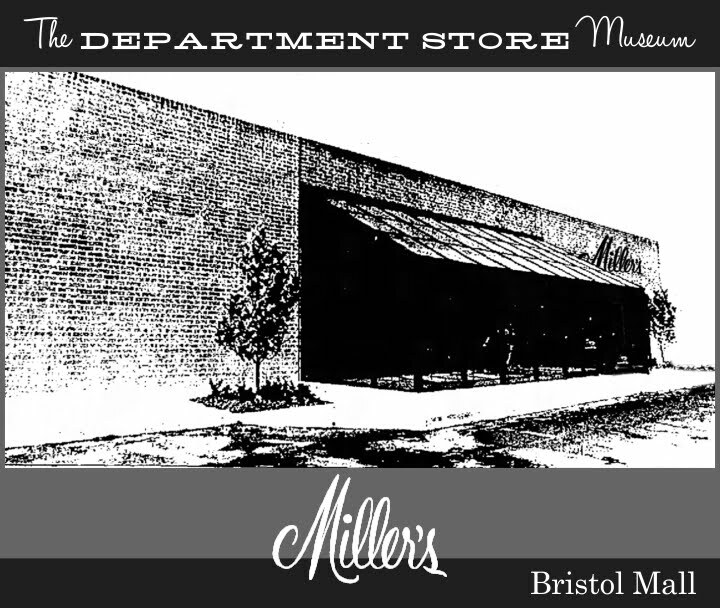 Learning of the Miller Bros. Co. store for sale from fellow friend Varnell, they combined efforts to purchase the Knoxville operation as a store of their own, retaining the Miller name in honor of the founders, and the good will that had already been built up by them in Knoxville. A happy consequence of this arrangement is that Oscar Handly met and married Miss Franklin Miller, the daughter of Gus Miller. Their children went on to hold management positions with both the Chattanooga and Knoxville firms. 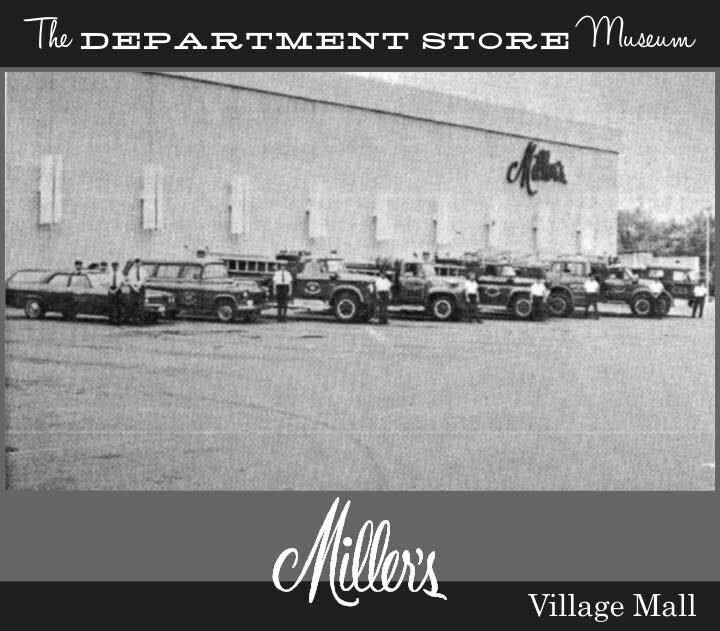 Miller’s weathered the Great Depression years so well that further expansion was forecast in 1935. 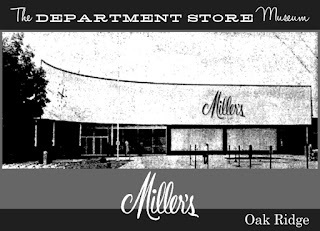 Miller’s had gradually occupied space in the adjacent buildings at 423-427 Gay Street, and it was envisioned by the store to erect a modern addition, while at the same time re-facing the existing main building to match. The clouds of war on the horizon, unfortunately, meant that after the shiny, marble-clad expansion was completed 1937, the plan for a block-long “Greater Miller’s” with a consistent, modern look had to be dropped. 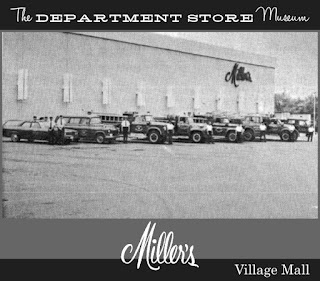 Miller’s achieved the form that became familiar to its many loyal Knoxville customers by the time of World War II, and the company, under new leadership, poised itself for further growth and improvement. Knoxville’s first escalators were installed just before the 1947 Christmas shopping season, and the store hinted at future expansion by purchasing additional properties on the block, facing Market Square, for future expansion. By 1954, Miller's secured the block bounded by Gay and State streets and Cumberland and Main Avenues, for the future location of a modern store. In January of the same year, it was announced that Miller's competitor, the S.H. George & Sons Co. (George's) hadd been acquired by Rich's of Atlanta. The buyer indicated that while the old store on the other side of Gay street would be operated as "Rich's - George's" for a while, a brand new facility would be built on Henley Street, west of Knoxville's traditional downtown shopping core, and that when it was completed in 1955, the new store would carry the Rich's name. The innovative and award-winning Rich's - Knoxville opened on August 29, 1955, includinng a three-level department store and a parking garage across Henley Street, connected underground by a tunnel. The modernity and utter innovation of the new store clearly pointed tot he future of retailing, and it appeared that Rich's, in its ambition to begin a regional expansion, had scored a coup in Knoxville. 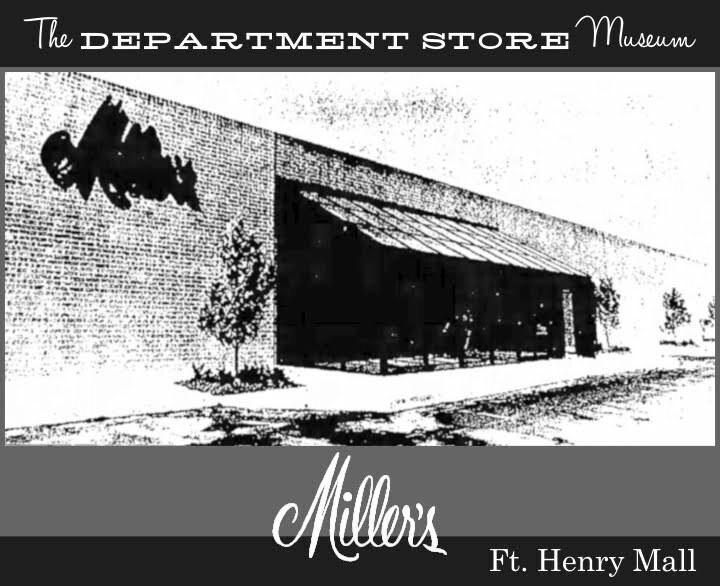 Knoxville shoppers were surprised to hear, then, on January 26, 1961, five and one-half years after Rich's opened on Henley Street, that Miller's had bought the Rich's store and would be converting the nameplate to its own as soon as possible. 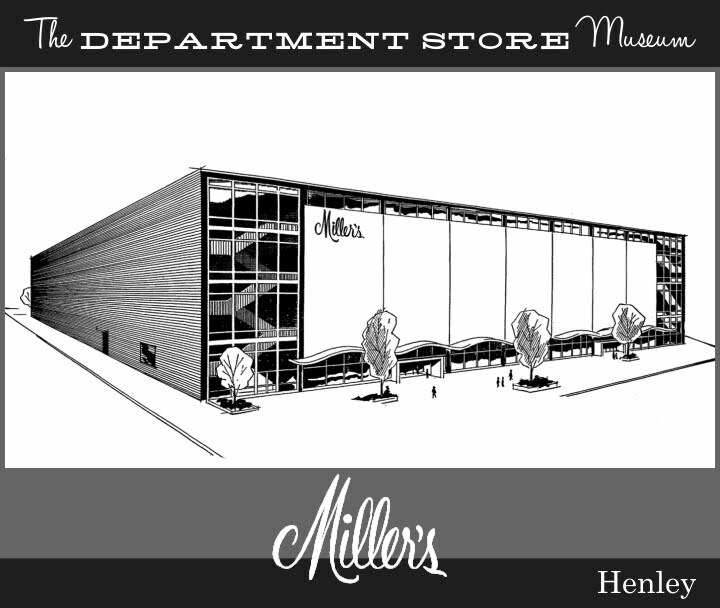 The beautiful modern store, in all its attractiveness, would now become a feather in Millers' cap. Rich's explained that the success of the store was below its expectations, and that it preferred to recapture the money it had invested so that it could build suburban stores in Atlanta, its home market. 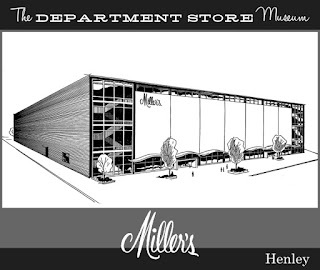 At the time of the sale, Miller's announced that it would operate both the Henley and Gay Street stores until at least two more floors could be added to the Henley building. As the planned expansion never occurred, Miller's settled in to being a two-downtown store operation. 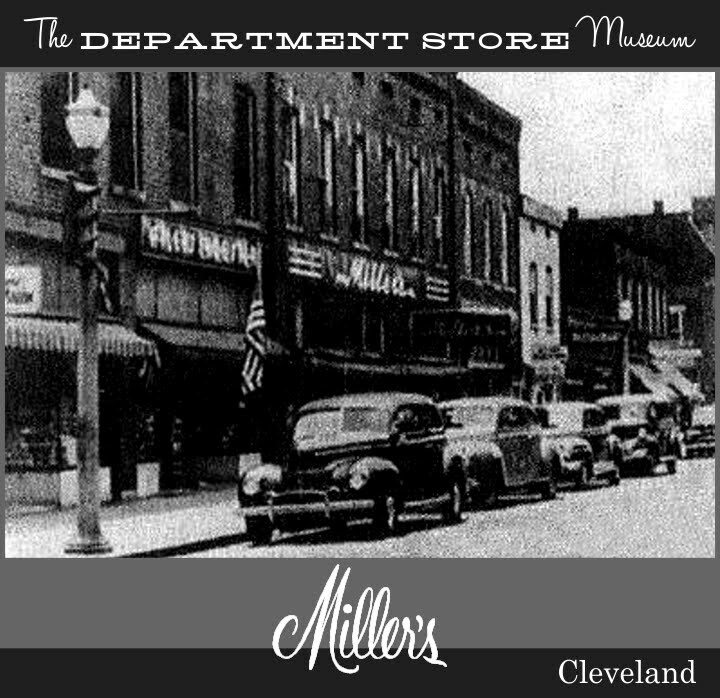 Miller's opened a small store in nearby Oak Ridge, Tennessee, and also operated downtown stores in Rome and Cleveland, Tennessee. But its first foray into real branch operation came in 1967, when the store purchased the Loveman's of Chattanooga branch in Oak Ridge's modern Downtown Shopping Center, and a downtown store by the name of J.Fred Johnson in Kingsport, Tennessee, also owned and operated as a branch by Loveman's. Both of these stores operated as satellites of Miller's in Knoxville. 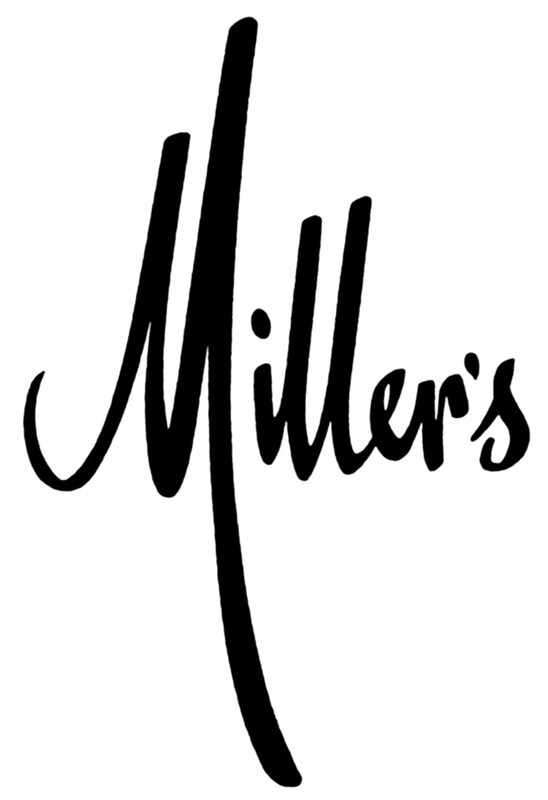 Two years later, there was big news for Miller's, that had wide-ranging implications. 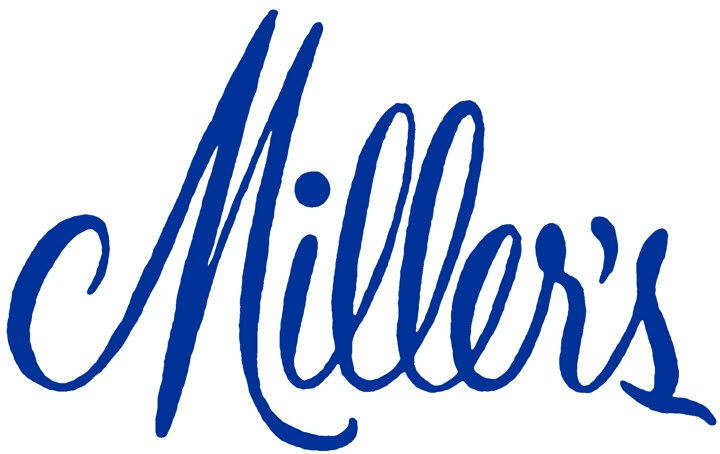 It was announced in March of 1969 that the store's board had approved the sale of Miller, Inc. to the chain Garfinckel, Brooks Brothers & Miller & Rhoads of Washington D.C. When the sale was consummated in June, the new owners made it clear that Miller's current management, with Oscar Handly's son Gustave as president, would remain in place, but that customers could expect a sharper fashion image for the store in keeping with current trends. 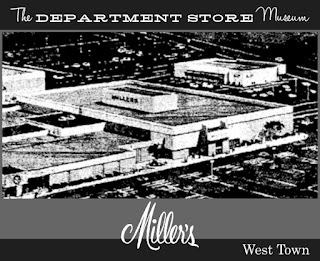 In addition, Garfinckel executives reinforced that Miller's would locate a large branch store int he proposed West Town Mall in Knoxville. Regarding the two-store operation downtown, a wait-and-see attitude was taken, given that the affect the new mall would have on the downtown stores. In the event, the West Town store opened in March, 1972 and became an immediate success. The store featured an innovative interior design that allowed continual flexibility in layout, emphasized open ceilings, and minimized full-height walls and permanent fixturing. After one year,though, the fix was in. 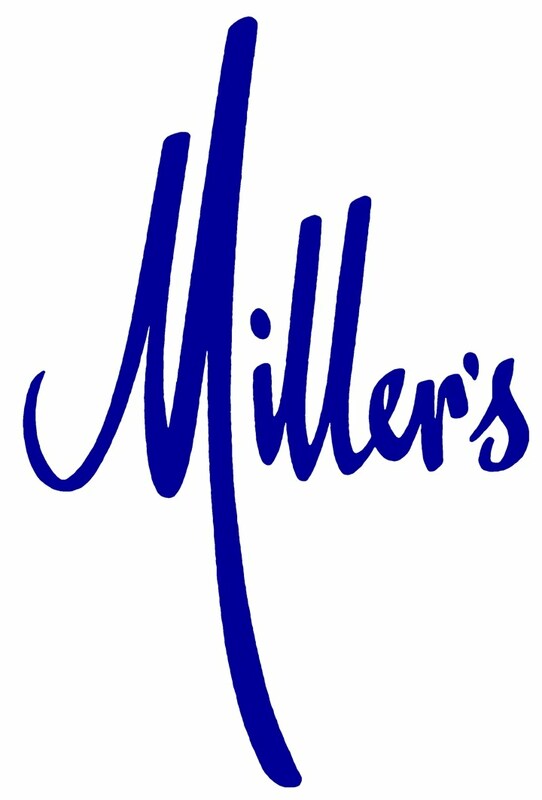 Miller's announced the closing of the tradition-rich Gay Street store, in favor of the newer Henley Street operation as the company's flagship. It was a dilemma for management, because thought the Gay Street store was better-located to take advantage of downtown business, the former Rich's store was more modern, larger, and less costly to operate. 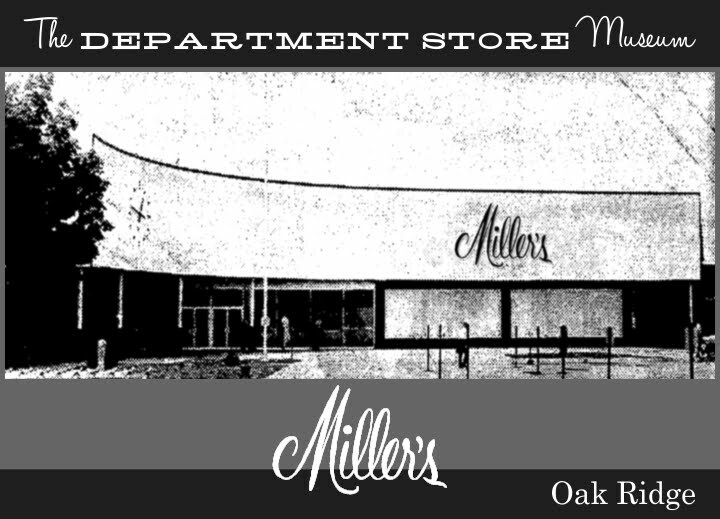 The old store's final sale was rung-up in March of 1973, after 72 years of business. 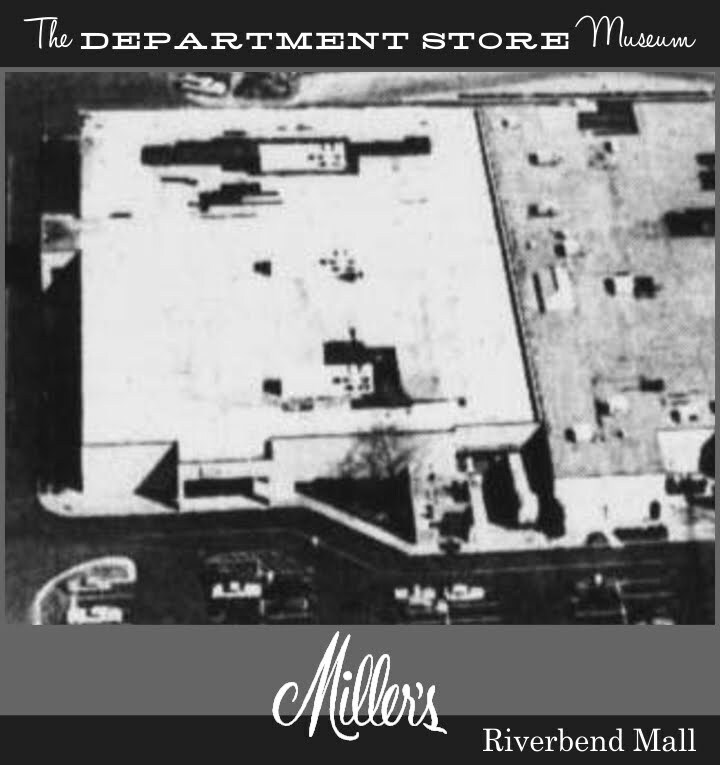 Would it be possible to get hi-res files of the Knoxville Miller's photos? Most of these came from local newspapers. I do not have hi-res files. scans from news papers of pulled from a digital source? Taken from the digital Knoxville paper available on the public library website with a library card. www.genealogybank.com also has the paper available. I have the scans at a reasonable resolution, slightly blurred to remove moire - 180 dpi. That's how I archive the images and display them at a lower resolution for speed.